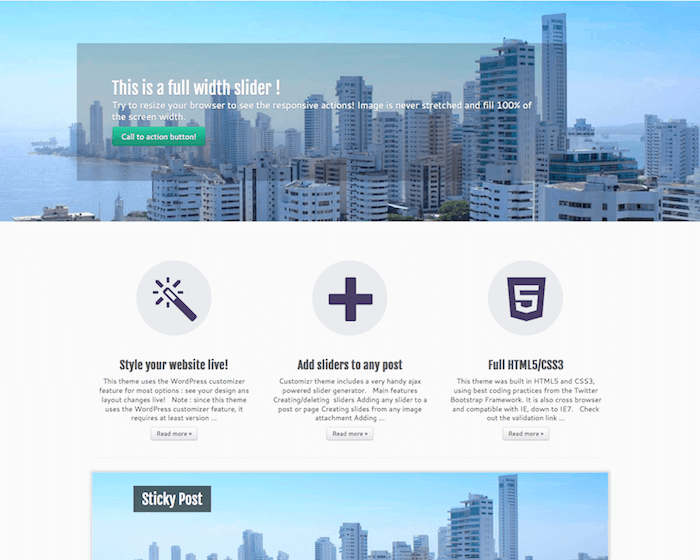 AccessPress Staple is a new free WordPress theme release from the WordPress themes store AccessPress Themes. This is a modern and trendy theme packed with amazing and useful features. 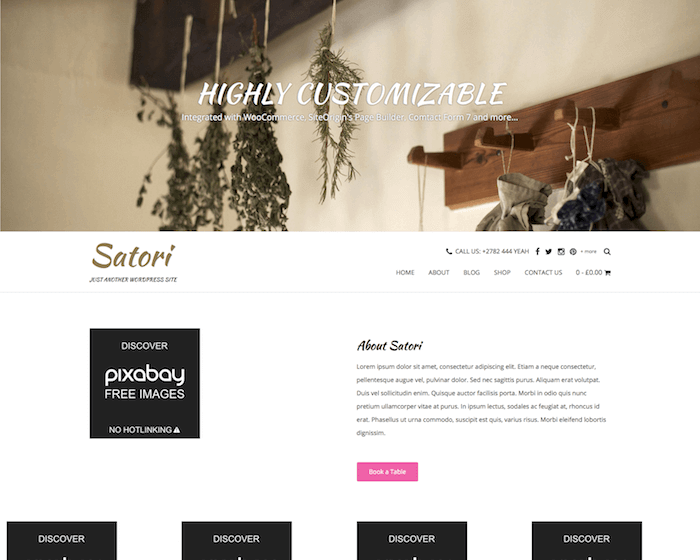 Usually you can find just so many features premium themes. But AccessPress Themes have chosen to include a lot of features even in their free themes. Their support is 24/7 and even for free themes. Which is really outstanding and impressive. 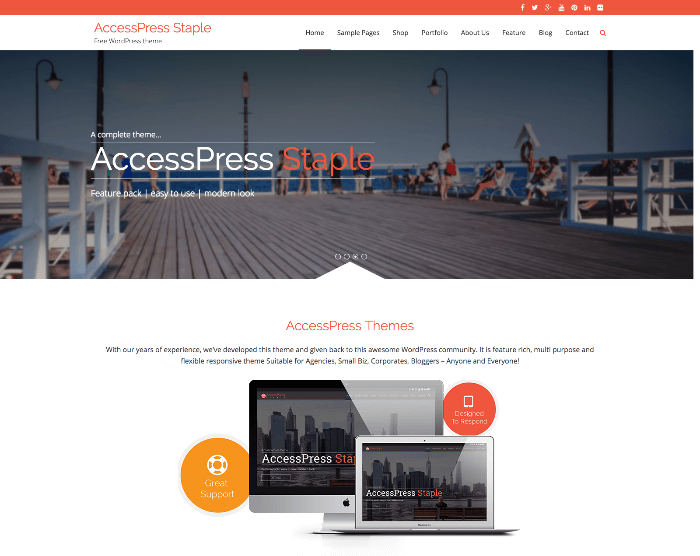 AccessPress Staple is a multipurpose theme and is suitable for many different website types such as business, corporate, portfolio, photography, personal, and more. The theme is simple to install and set up. Should you run into any problems. Don't worry. There is an extended documentation that covers everything from installing the theme, basic settings, homepage settings, portfolio section, call to action to slider settings and much more. 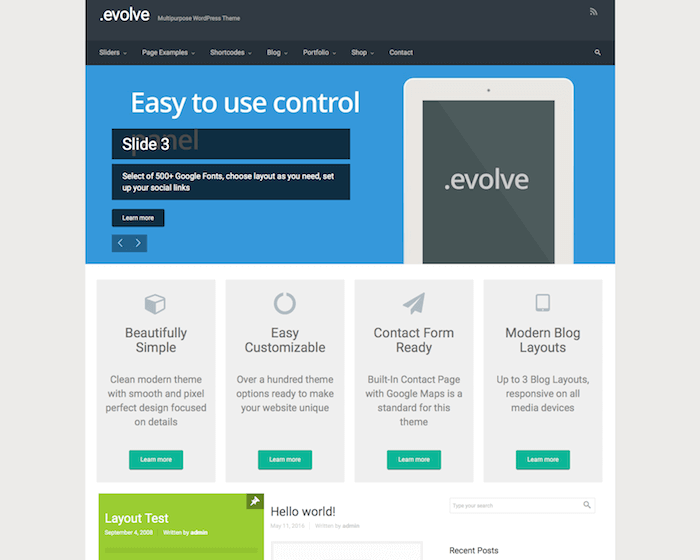 The theme is fully responsive and work great with any kind of devices. No problem if your visitors uses mobile phones, tablets or computers. You got everything covered. Check out the demo below. As I mentioned earlier, this is a free theme that comes loaded with features, settings and options. Which enables that you can customize every part of the theme for best results. Some of the key features are a featured slider where you can present great content and inspiring photos. It Is WooCommerce compatible so you can easily create an online store selling products or services. The theme features multiple homepage layouts so you can change your site's layout to what suits you best.